India is home to untiring natural beauty and has an enthralling charm to be reckoned with. The lofty mountains, the vast oceans, the meandering rivers and the green lush landscapes make this country absolutely a must-travel destination for many across the world. For a unique travel experience across India, one needs to plan a journey carefully to soak up the experiences that stay fresh in your mind for a very long time. 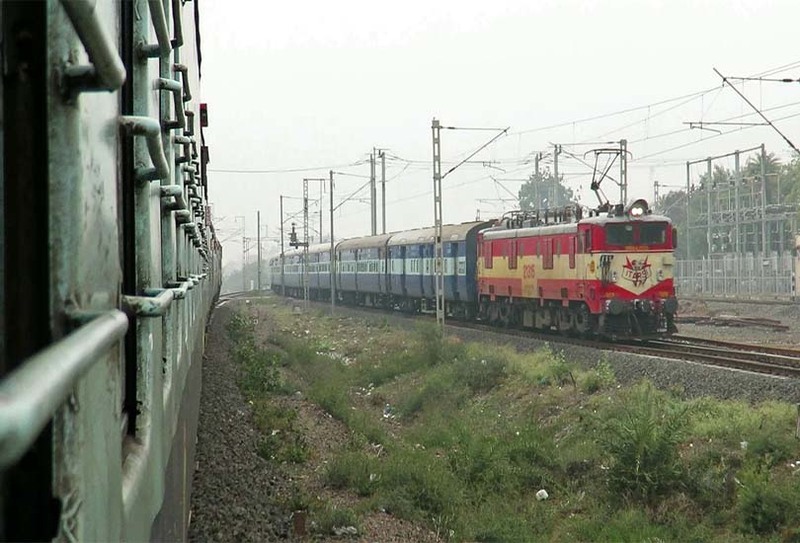 And, there is no better way to explore India than hopping on fascinating train journeys. These still provide the most soul-stirring travel experiences and helps you soak up nature’s splendour in the most amazing way possible. 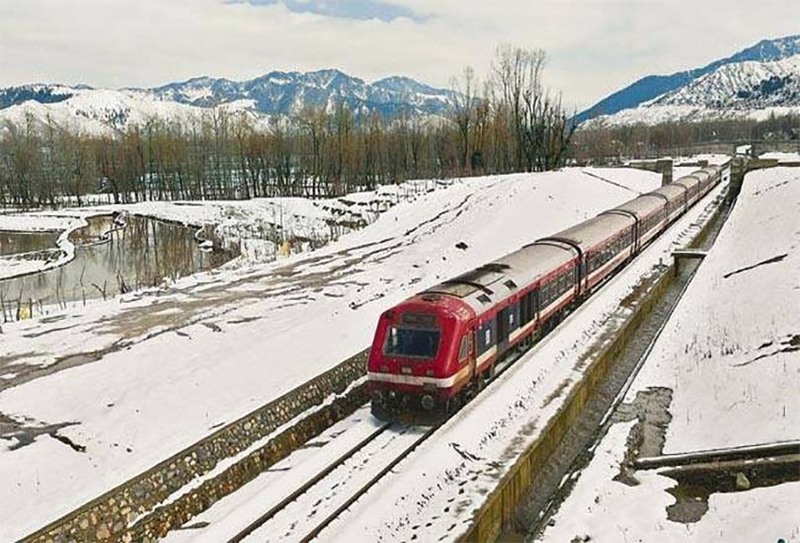 This train route takes you on a refreshing journey through the rugged yet romantic terrain of the Jammu and Kashmir. Get captivated by the splendour of the snow-covered peaks in the biting cold temperatures. Get mesmerized by the ruffling sound of the train wheels while moving on the bridges. Here is your chance to relive your childhood vacation days with the same excitement while passing through the mysterious tunnels. 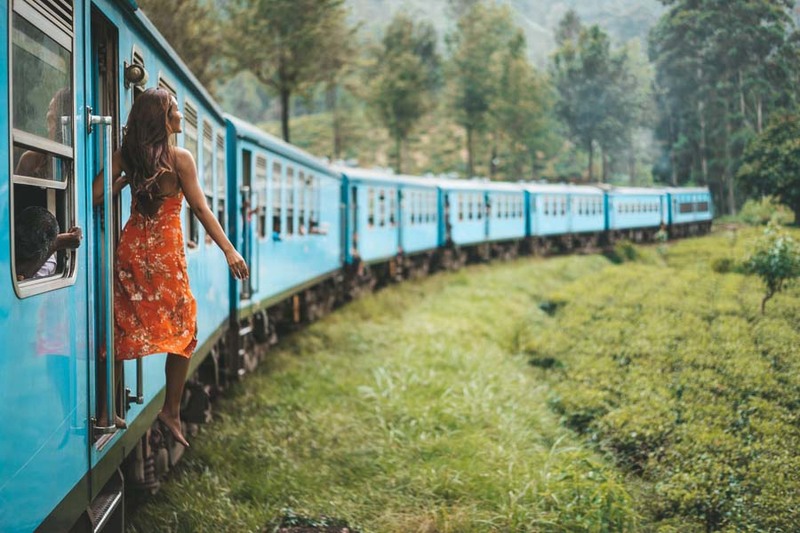 Don’t miss out on your chance to experience a thrilling trip while moving through an enchanting maze of mountains and valleys on this train route. Fill in your senses with the elevating scent of the pine trees and rich flora of the Kangra Valley. It will be solely an adventure on your mind while travelling through 107 tunnels and 864 bridges with the picture-perfect Himalayas in the background. Explore the beauty of nature while ascending the slope rhythmically through Dharampur, Solan, Kandaghat, Tara Devi, Barog, Salogra, Totu, and Summerhill. Traverse through the golden sands of the Thar Desert. Experience the beauty of golden yellow dunes, xerophytic vegetation and scattered settlements along the way. Watch the caravan of camels moving gently and experience the magnificent colours of Rajasthan in the best way possible. 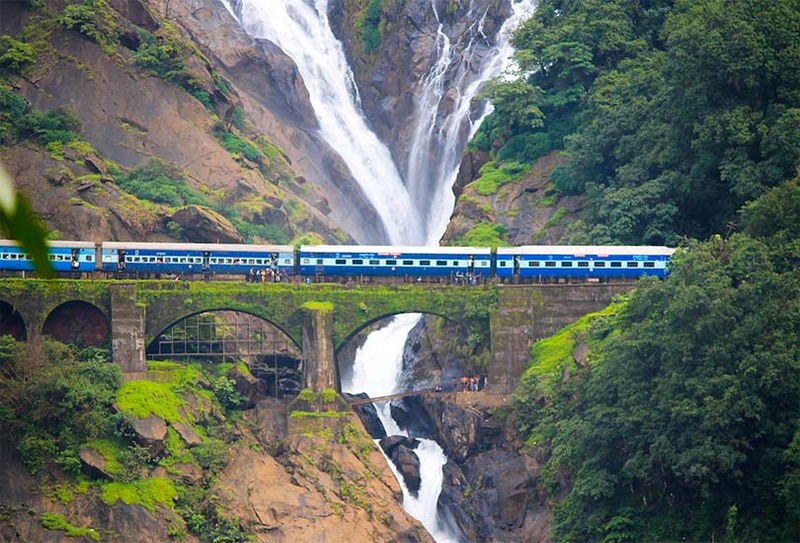 Glance at the majestic Sahyadris unite during one of the most interesting train journeys in India. The lush green meadows, the serene water bodies and the stunning curves along the route will leave you speechless. Be ready to experience the cascading beauty of Dudhsagar Waterfalls, one of India’s tallest waterfalls. 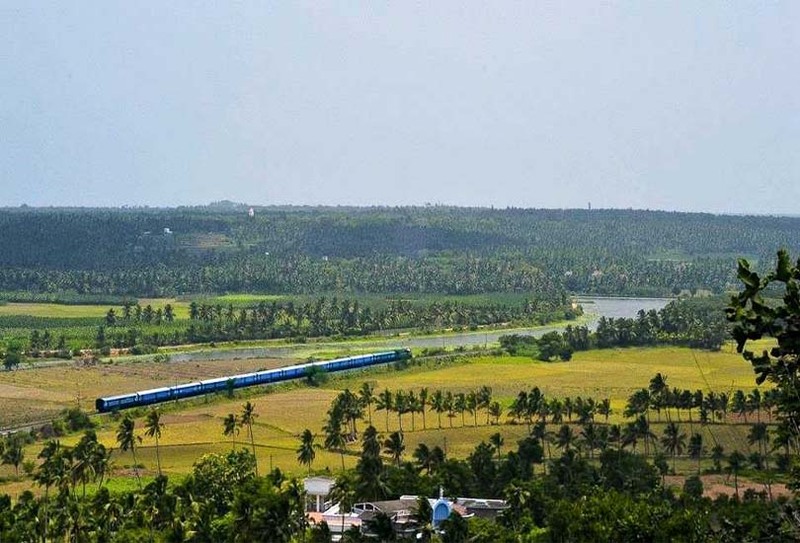 Make your way through God’s own country, Kerala, in the most exciting way through train travel on this route. The captivating backwaters, the glorious coconut palms bordering the water channels and the shifting frames of culturally rich rural life will thoroughly soothe your senses. Discover Tamil Nadu like never before by embarking this wonderful train journey which takes you through the Gulf of Mannar. Start your cherishable journey from Mandapam and make your way to the Pamban Island, passing over the second longest bridge of India, the Palk Strait. Ascend from the foothills and begin a mystical journey uphill through plenty of loops, bends, and turns. Get picturesque views of the Darjeeling town and the snow-laden mountain peaks while meandering through the Batasia Loop. 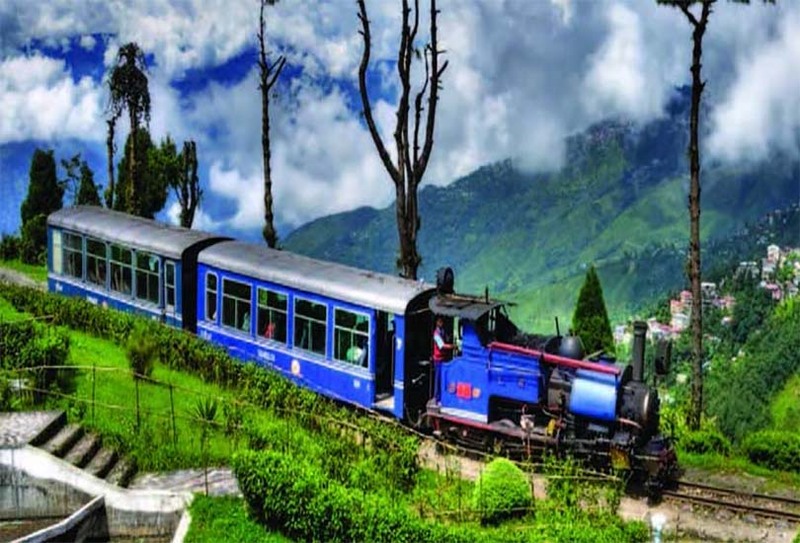 Make your way up through Ghum railway station- India’s highest railway station on the Darjeeling rail line. Catch some wondrous glimpses of cherry, maple, chestnut and pear trees and the lush tea gardens. Taste the flavours of Assam and imbibe the fresh aroma from the forest greens along the journey. 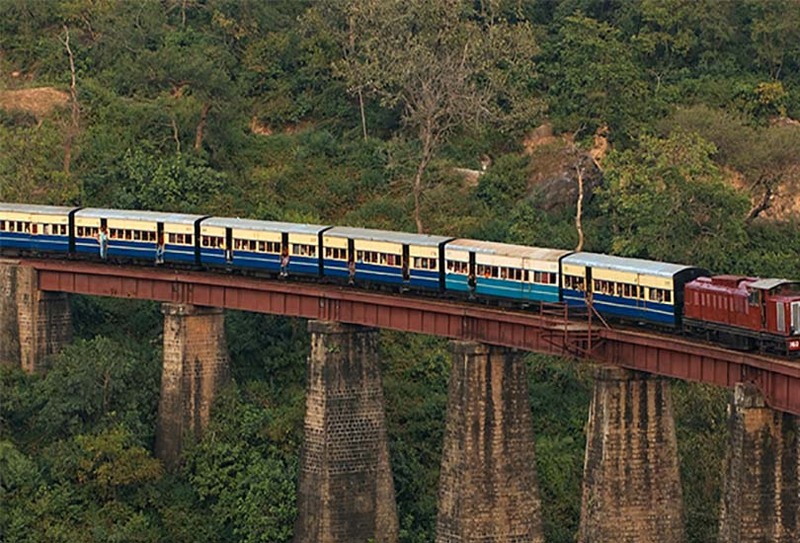 Swivel your way through river Jatinga, flora-rich Assam Valley, and rocky Haflong valley. 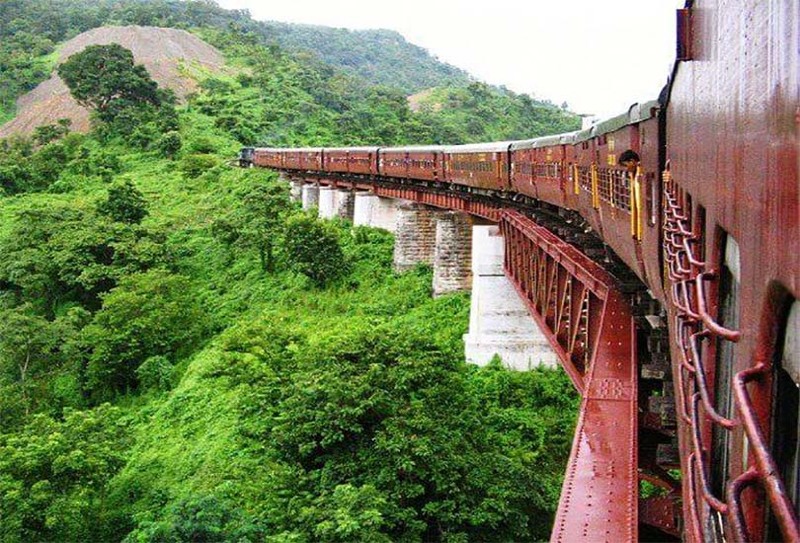 Take a train ride through the incredible landscapes, picking up the pleasant aroma from the tea gardens of Barak valley on the way, before running into the plains. 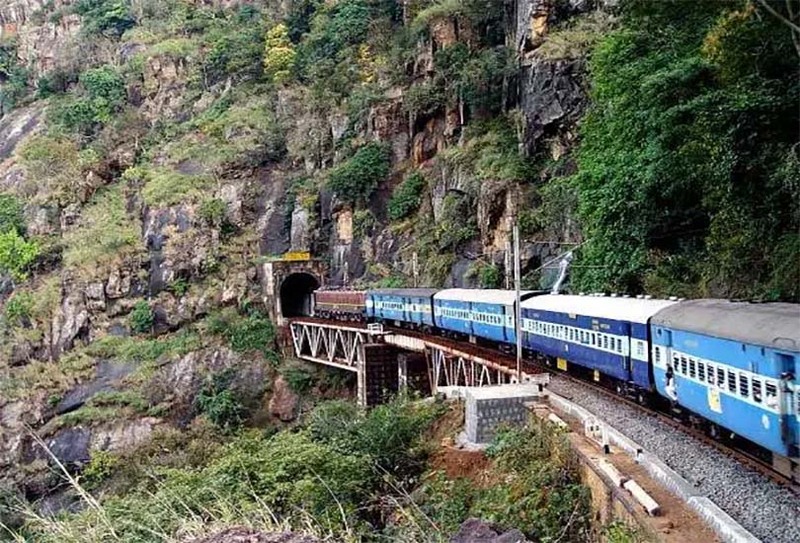 Here is your chance to enjoy the grandeur of the mighty Eastern Ghats, dainty coffee plantations via the highest Broad gauge railway station of Shimiliguda. 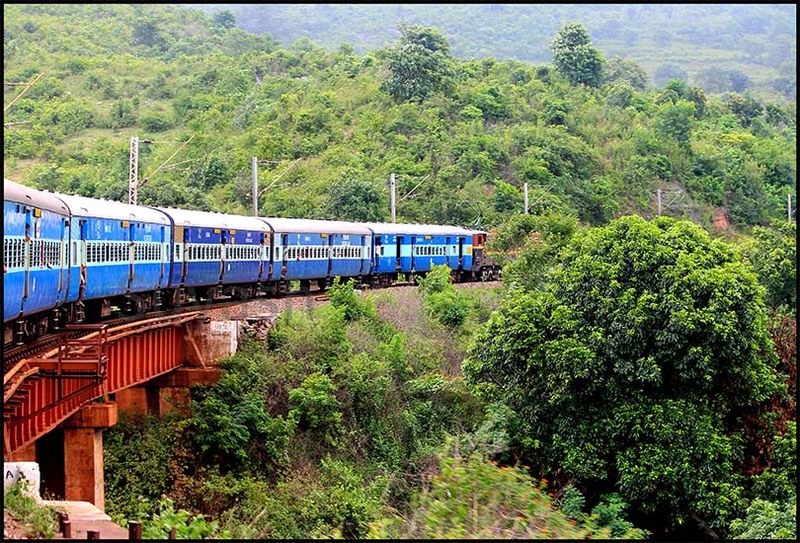 Satiate your thirst for nature’s sublimity and witness beauty in its purest form while travelling to Araku Valley. Your travel will only get better when you come across the various caves and waterfalls on the way. Get spellbound with the seamless beauty of the Chambal ravines. A region still under the radar for its notorious dacoits is one of the most beautiful travel destinations in India. 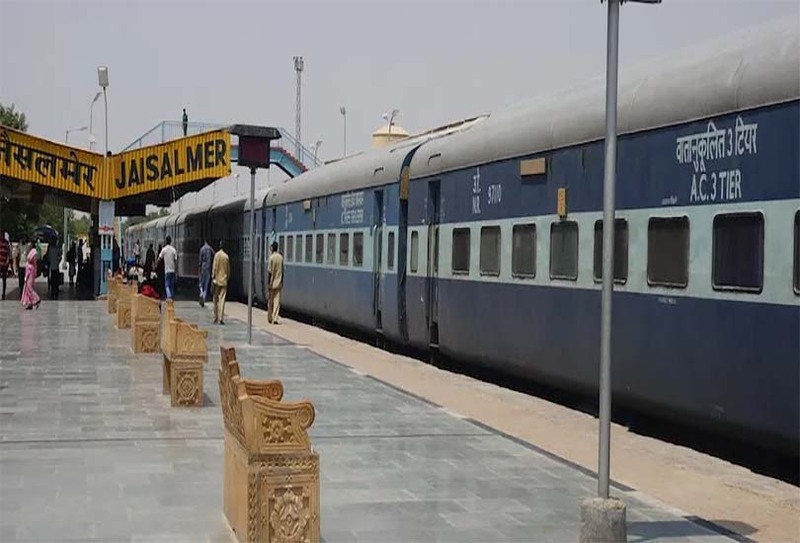 A train ride through this semi-arid zone of north-western India will make your adrenaline shoot up and offer some amazing views along the journey. 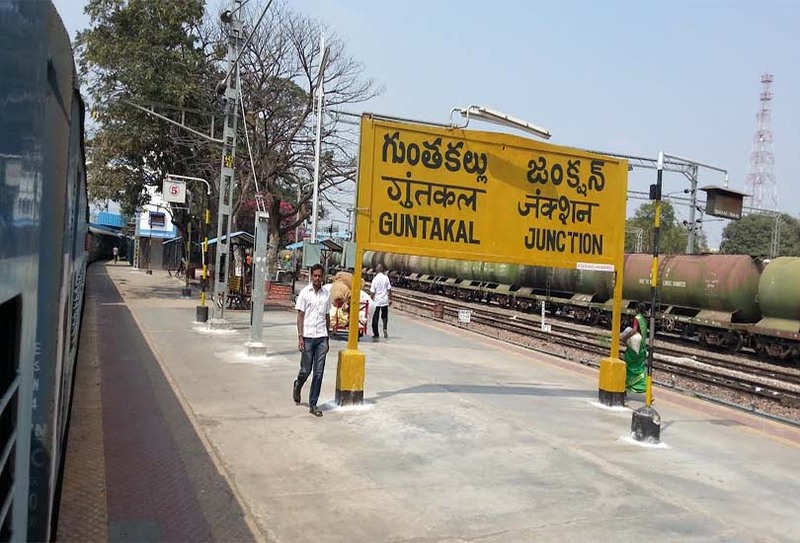 The section between Guntakal – Guntur is nothing less than a dream. This is still one of the most unexplored parts of Andhra Pradesh where you can soak up the natural beauty of the Eastern Ghats. You can also experience the sublime waters of the Cumcum Lake, the oldest man-made lake in Asia. The rhythmic chuffing sound of the steam engine and the slightly swaying coaches are ready to take you on a beautiful journey up the blue mountains. 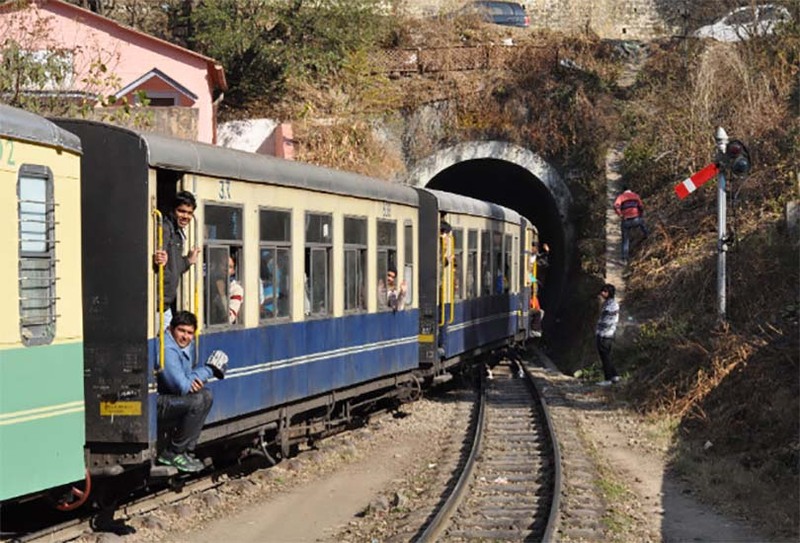 Out of the legacy of the British Raj comes an exciting train travel with several twists and turns through the rocky terrain. 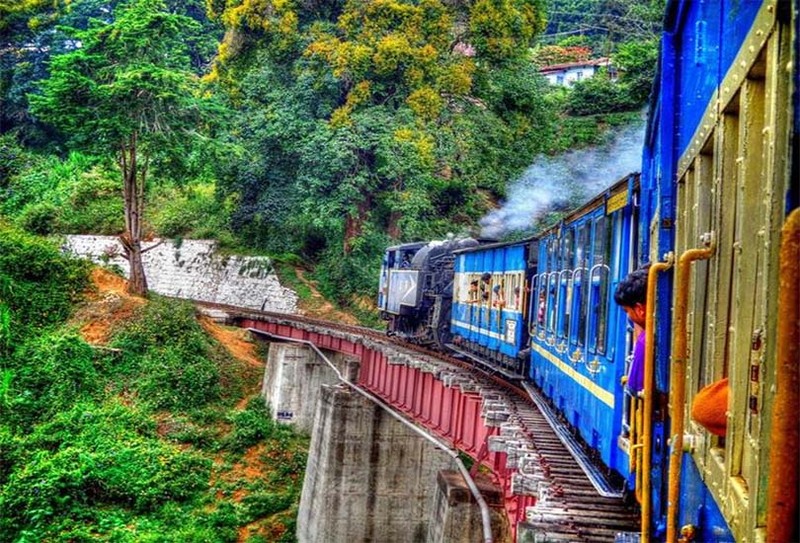 It includes one of Asia’s steepest tracks and allows you to witness some of the most splendid tea estates. 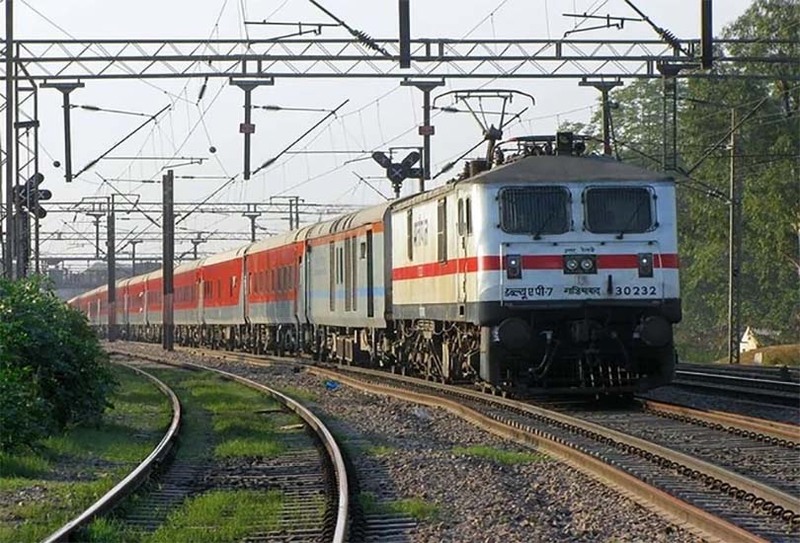 Train journey through Orissa starting from Bhubaneswar to Brahmapur encompasses the thriving greenery of Malyadri on one side and the calm Chilka Lake on the other. Don’t forget to take your camera along as you can catch many migratory birds at this lake, which is also the second largest lagoon on earth. Gujarat is here to surprise all the nature lovers with the beauty of wooded hills of Gir National Park and the rich culture of Saurashtra while making a journey from Junagadh to Delvada. It is ideal for all travellers who are looking for a restful yet delightful journey. Savour the spectacular green countryside of the Konkan belt. Move ahead with the turns or bends to make your way through 2,000 bridges. This also includes India’s tallest viaduct – the Panvalnadi bridge. 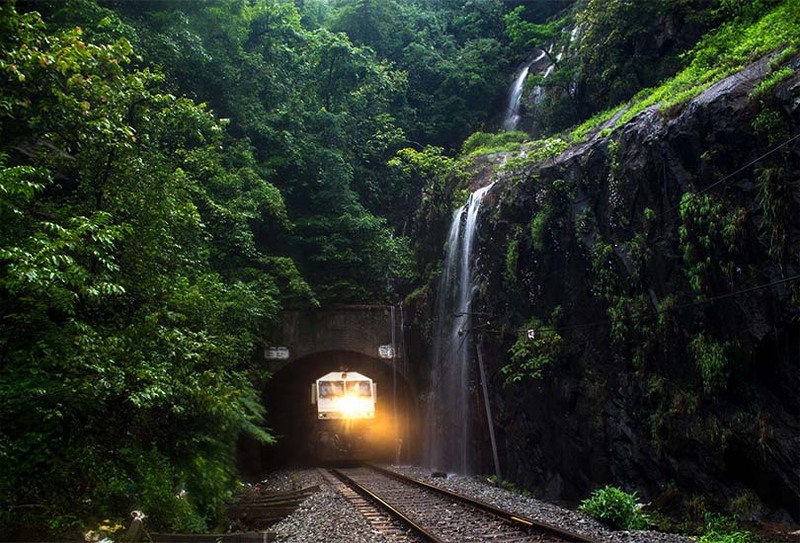 Buy yourself some time near the train window to get transported to a different world altogether with the scenic beauty. 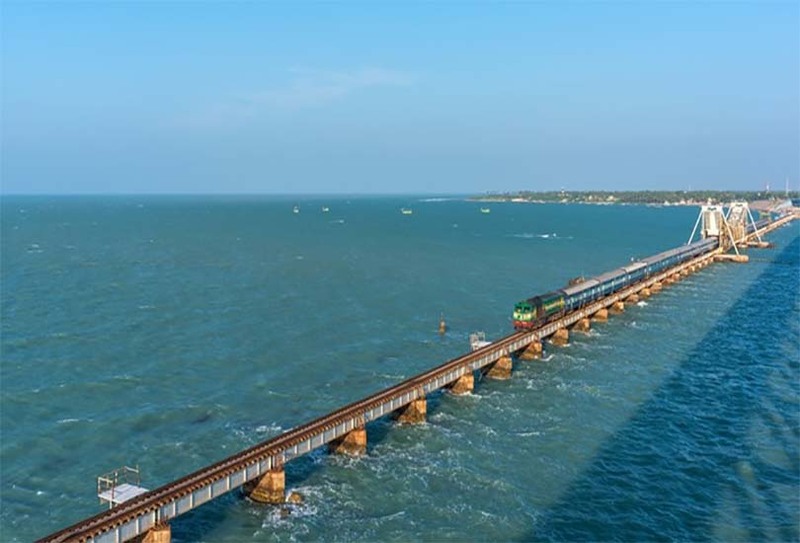 This route offers a breathtaking journey that takes you through sunlit paddy fields lined with coconut and mango trees and vast stretches of water leading out to sea. Reach the southernmost tip of India and view the three majestic oceans unite in all its glory on this train route. The thriving flora, tall palm trees, and long grassy verges ensure a mind-blowing view of nature itself. At times, you can even catch a glimpse of the small colonial churches. 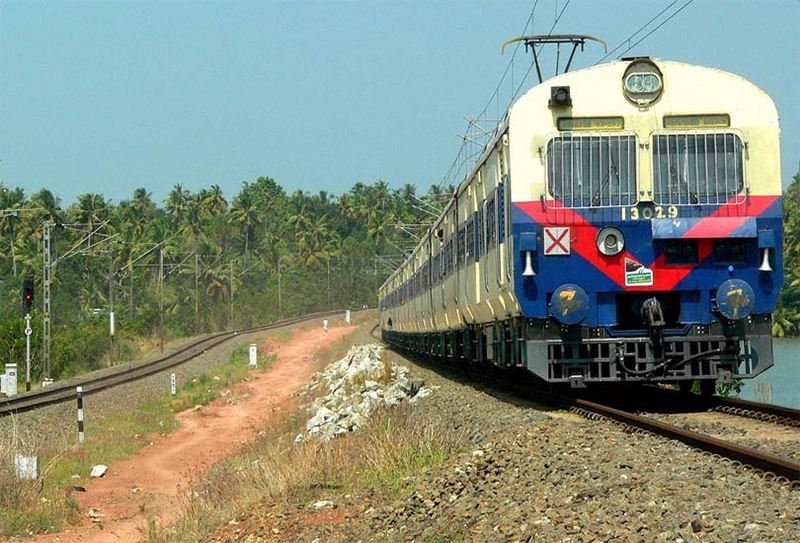 The train ride on this route also leads you to Kerala’s finest beach, Varkala. Walk along the long stretches of sand and feel the calmness of the blue waters. 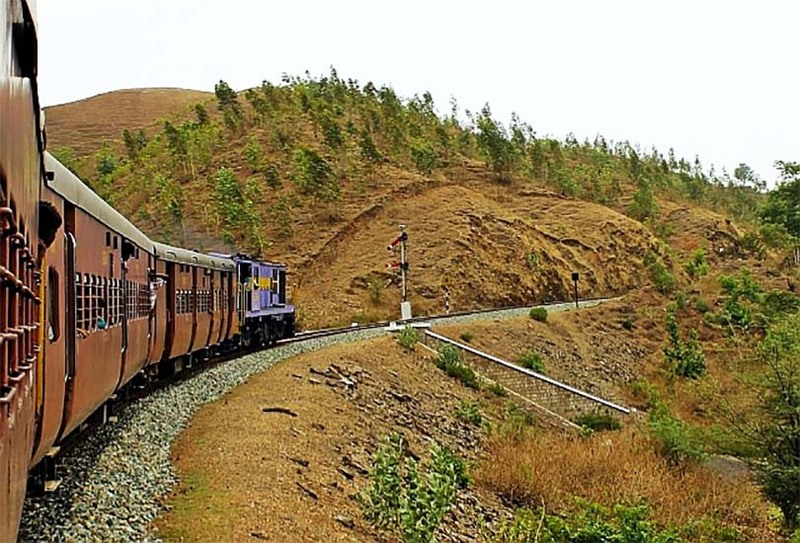 The charm and beauty of nature will be all yours to experience on your journey from Mumbai to Delhi. As you pass through Rajasthan taking this route, you can plan out a tiger-spotting adventure at Ranthambore. You can also decide to visit the ancient Buddhist caves at Ellora and Ajanta and get dazzled by their magnificence. Have a relaxing vacation while travelling from Karnataka and explore the beauty of grand palace of Mysore, the wildlife-rich Kabini jungle and the enigmatic world heritage sites of Hampi and Badami on the way. Let the scenic extravaganza of the sun peeking through the forests and slowly hiding behind the hills on your way to Goa enchant you. 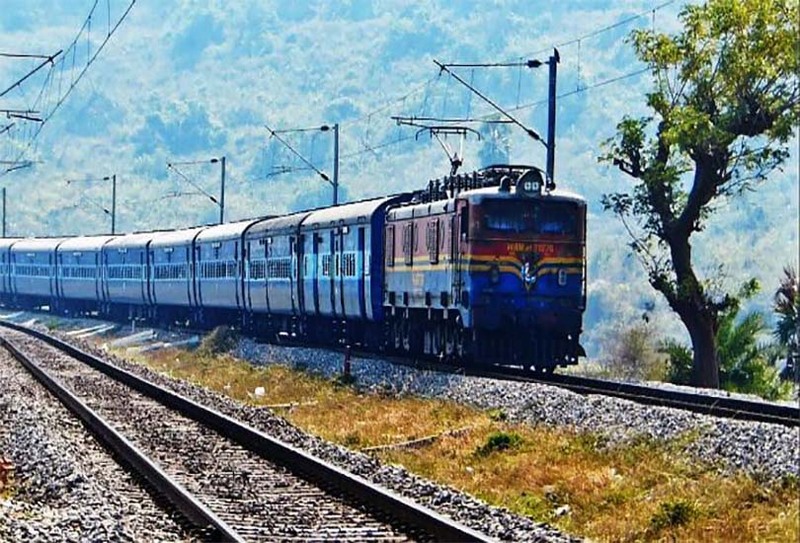 These train journeys surely pump your spirits and encourage you to quickly plan your next travel destination. To ensure a smooth travel experience, make sure you book your train tickets in advance and get a confirmation on the PNR status of the same. India is extremely popular around the world for its exotic natural beauty. Board a train and witness it in the best way possible. Sunakshi Failbus is an avid reader, an ambivert by nature and big on travel. She never misses a dance beat or a Marvel movie. From the field of Biotechnology to the world of Digital Marketing, her journey has been rocky yet adventurous. She is still doing it for a happy living and, of course, with no regrets at all!